The key to realizing the potential benefits of the flipped learning model in your classroom is implementation. Not only do you need to have an adaptable strategy for flipping ready — you need to be sure you’ve answered the essential technology questions as well. Many of these technology concerns will be of central importance to those on the receiving end of the flipped classroom experience — the students. The flipped classroom represents a new model for them as well, with new processes to understand and new objectives to meet. Fortunately, there are also new technologies available that can help students make the most of this new environment. Planning a successful classroom requires as much thought be put into facilitation — how things are taught — as is put into information — what is actually taught. Video is no different. Instructors that don’t plan for managing the video they create quickly wind up with desktops overloaded with video files — and classrooms full of students not quite sure where to go to find and view all those recordings. In response, teachers new to flipping often dabble with storing and sharing their lecture videos on public websites — as pages on YouTube, or files in DropBox. But doing so creates an inconsistent experience for students, who are forced to somehow remember all the different places where the lecture recording for each of their flipped classes may be found. It can also lead to serious data security or copyright issues for administrators, should regulated information be improperly shared on those public domains. Fortunately, for many schools may already be a better option in place. Video content management systems (video CMSs) provide a secure “campus YouTube” where flipped classroom recordings can be stored along with any other type of video content recorded in a central, secure video library. Many academic institutions already have video CMS functionality built into the school’s video platform. A video CMS simplifies uploading and sharing video, as well as allows for video editing, user-based analytics (so you can see which students are really watching), and even integration with learning management systems like Blackboard, Moodle, Canvas, and Brightspace (Desire2Learn). 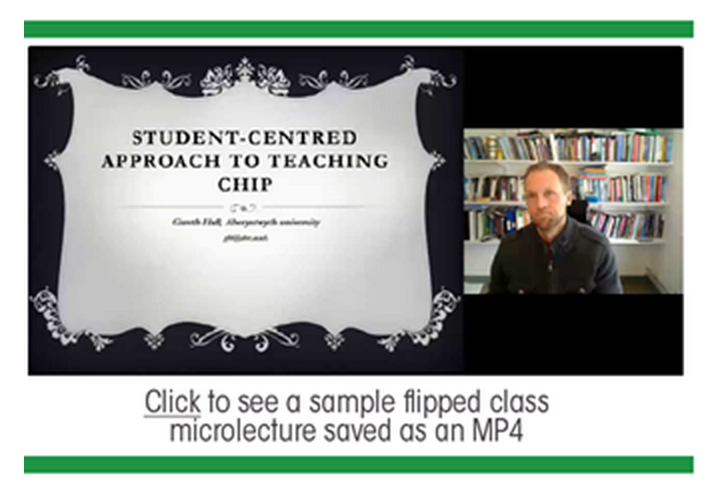 Flipped classroom methodologies rely on the ability of students to view lecture content prior to class. Many of the benefits of that arrangement, in particular, are derived from enabling students to review the content whenever and wherever suits them. Students in a flipped classroom may come to find they learn best after-hours with their laptop in the student lounge, on the bus via a mobile phone, in a coffee shop with a borrowed tablet, or at 1:00 am on the old family PC. To ensure students can actively participate in flipped classrooms, teachers need a way to deliver video to all the possible devices, players, and browsers students may be using. That’s no small challenge — standard file formats change often, and many common devices don’t support every video type. And even if you could control all those file compatibility issues, there’s still the challenge of bandwidth — students relying on 4G wireless connections or with outdated web access may find it challenging to play larger video files. Once again, many schools will find that a video platform is a critical tool for effectively delivering flipped class content. Many video platforms automatically standardize (or technically speaking, transcode) video from virtually any recording device and convert it into an MP4 file, playable on virtually any device or browser. A school’s video platform can even optimize video for individual delivery, automatically detecting the viewer’s device and connection and adapting to streaming different files at different bitrates to ensure the highest possible quality viewing experience for everyone — even at 1:00 in the morning. For any given flipped class session, the associated lecture video needn’t run the full length of the ordinary class — instructors can often subtract the time that would have already been planned for interactive discussion or activity. 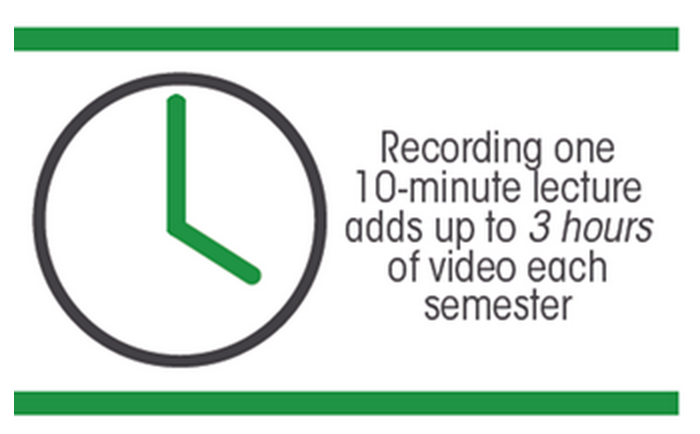 This means those video “microlectures” may only last only 15-20 minutes. In fact, research from Ball State suggests the most effective microlectures may be limited to no more than 7 minutes, thereby allowing educators to focus each video on a single subject and then to share two or three videos per class when needed. The challenge, however, lies in the sum of all those parts — a class may be taught by the day, but the course runs for months. Flipping just one session each week with 10-minute microlectures adds up to 180 minutes — 3 hours — of video for every 18 week semester. Adding more videos or flipping an additional session or two each a week can quickly double or triple that amount. As the course progresses, that isn’t a critical issue — students are still watching the video 20 minutes at a time. The problem comes instead at exams — when students return to all that video to study, only to be met with a mountain of information to sort through. Compounding the issue is fact that video search today is still often quite limited. Many video hosting services — even big ones like YouTube — only search videos by title, description, and a few other details that all must be manually added after the file is uploaded. Meanwhile, the actual content of the video itself remains an unsearchable black box — an instructor may spend several minutes of their lecture on a topic, but if that isn’t noted in the description, it will be essentially unfindable. And even if the student does manage to find the right video, they’re still stuck with no other choice than to hunt and peck in the video timeline to find the specific relevant 2 minutes they are hoping to review inside the 20-minute recording. Here again, a school’s video platform may offer a huge improvement for the student experience. Many video platforms include advanced video content search features, and can help an institution’s students more easily find what they need. The Panopto video platform, for example, indexes every word spoken, every word that appears on-screen, every word included in presentation slides, as well as any additional words added as transcripts or metadata, for every video in your entire library, whether or not it was recorded with Panopto. Panopto even timestamps all that information, allowing students to instantly fast-forward right to the relevant moment. The result? Students can search for video content the same way they’d search the web or their email — quickly finding exactly what they need, so they can study more effectively. 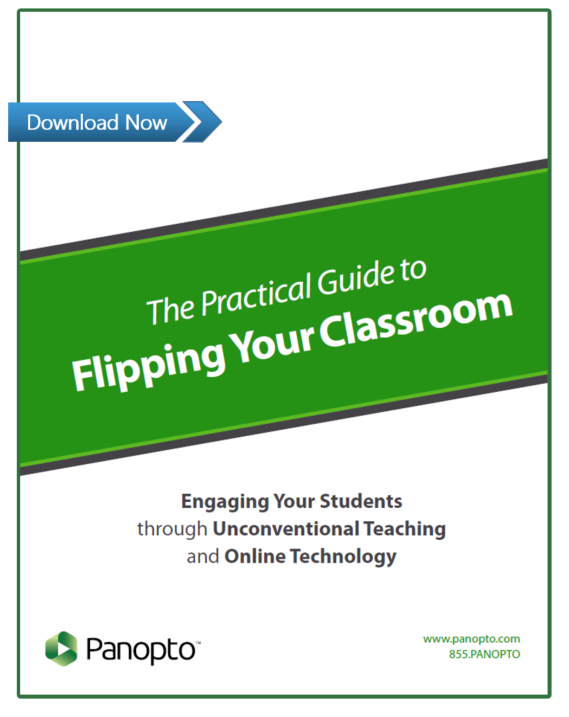 Find out more about flipping your classroom! Take a deeper look into the flipped classroom evolution, including the foundational strategy and early results that have so many teachers excited, in our latest white paper, So You’ve Decided To Flip Your Classroom.